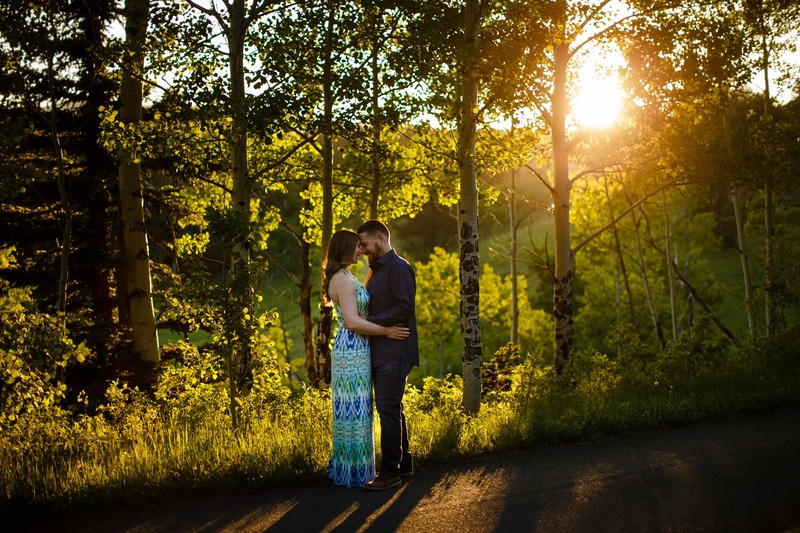 Sharon and Nick’s colorful engagement in Golden Gate Canyon State Park near Golden, Colorado was an absolute stunner. 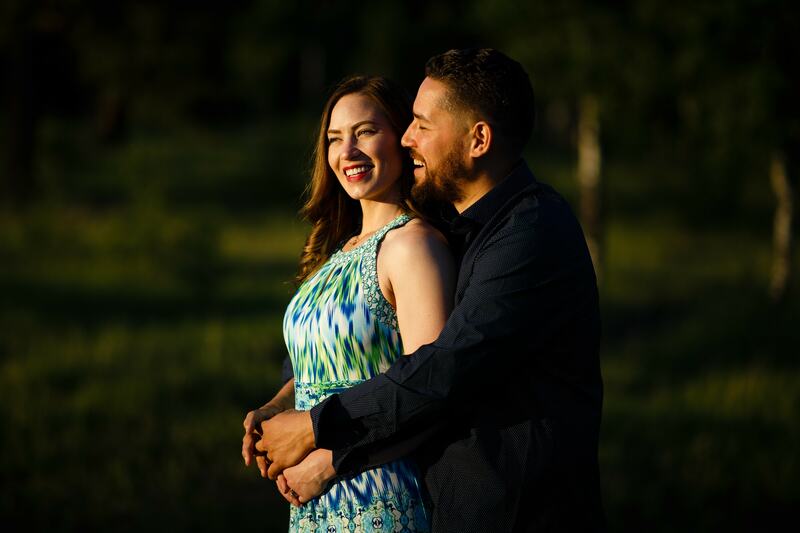 These two were complete naturals in front of the camera and had a blast together throughout the entire session. 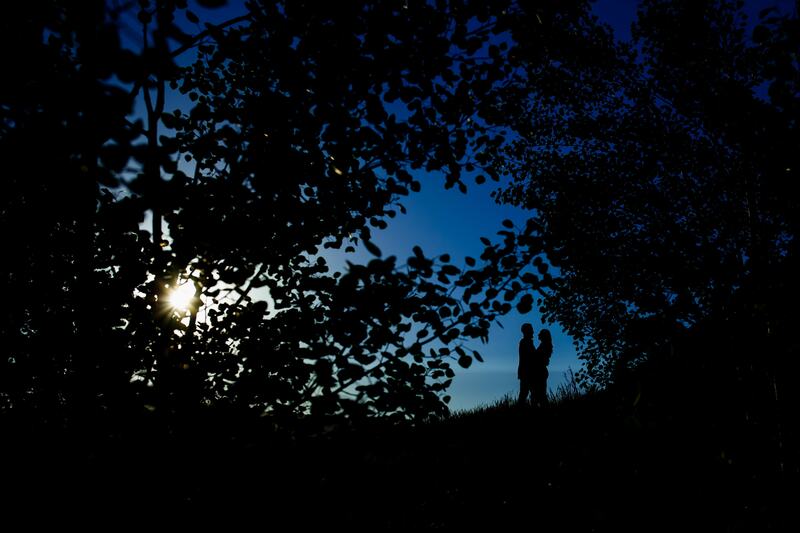 Combine that with two hours of screaming light in the park and this is a session I won’t soon forget. 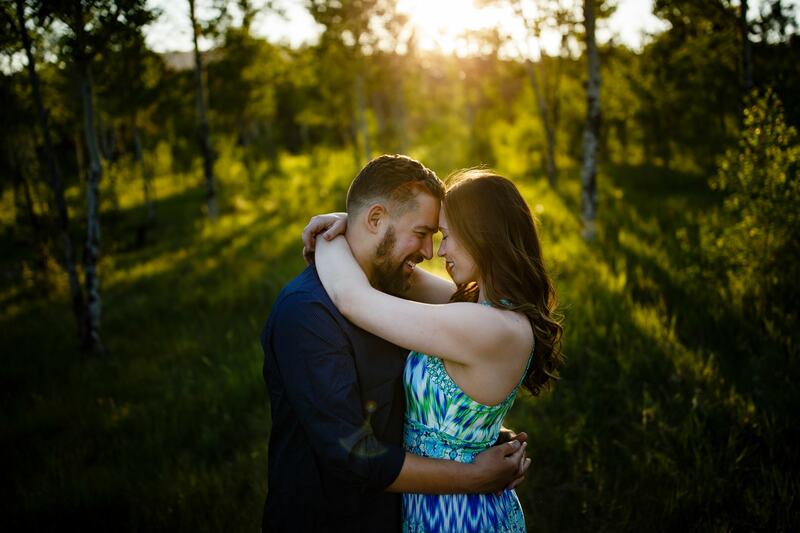 They live in Kansas City and are getting married this week at TenMile Station in Breckenridge so I was glad that they were able to find some time for their engagement session between everything else that they have going on. 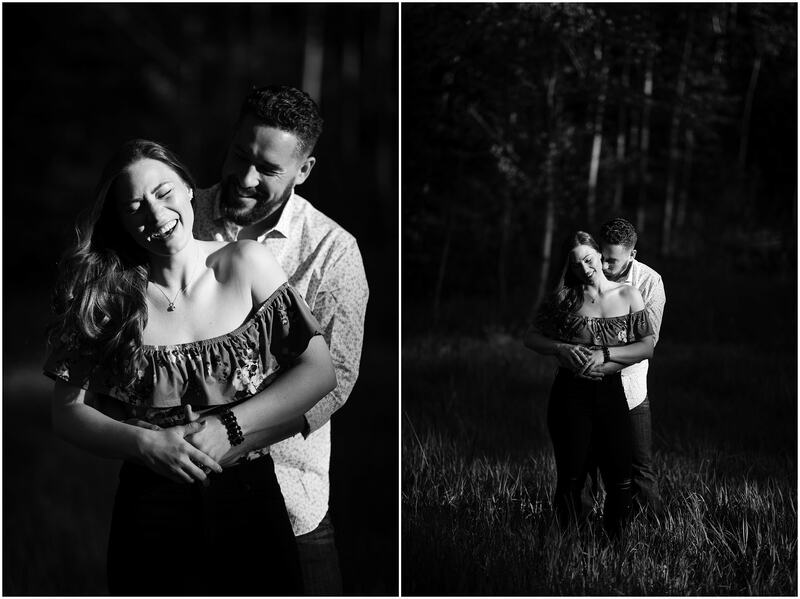 They visit Colorado a lot so they were excited to shoot in the park outside of Golden which is quickly becoming one of my favorite engagement locations to take couples. 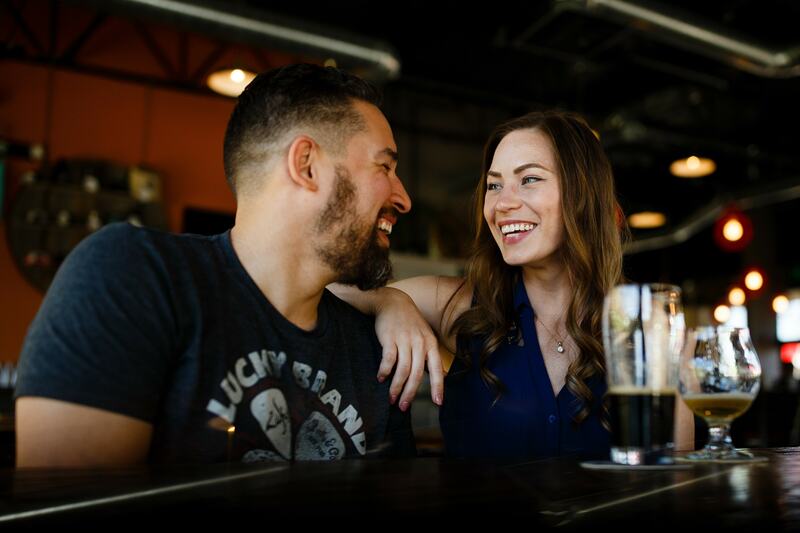 We met up for a beer at the best brewery in Golden for a drink before driving west up the windy canyon roads. From the moment that we got out of the car I could tell that it was going to be an epic session. 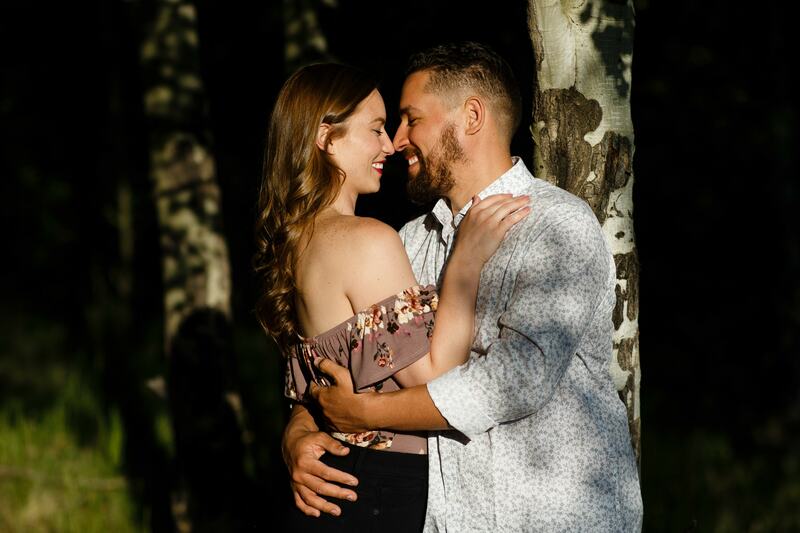 These two are completely in love and it definitely showed. They compliment each other in so many ways and even after spending just a little time with them I can understand how they have so much fun together. Everywhere we went the light was amazing thanks to clear blue skies. From Kriley’s Pond to Gap Road we stopped several times along the way, finding gorgeous pockets of color at each location. 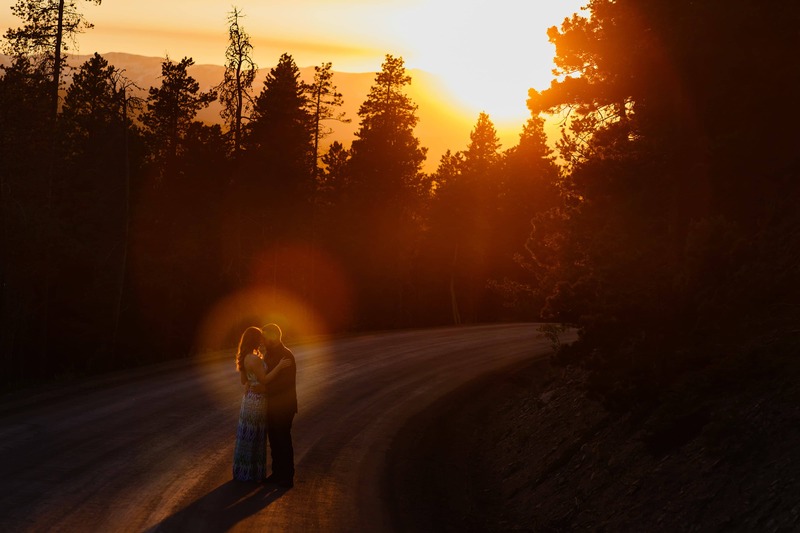 When the sun finally did go down we were treated to a stunning sunset that was viewable along the entire front range. 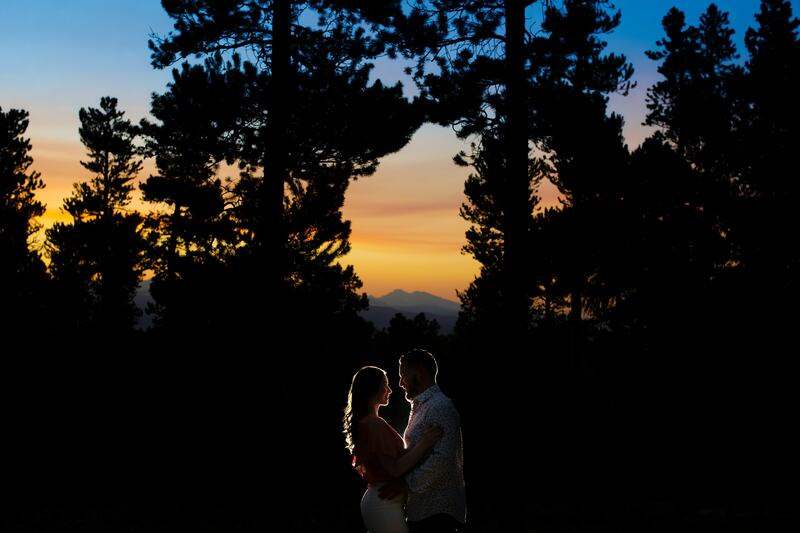 The rich orange tones contrasted the remaining bits of blue sky and Sharon and Nick were willing to fight off the mosquitos for one final photograph that I’m sure will get hung up on the wall. 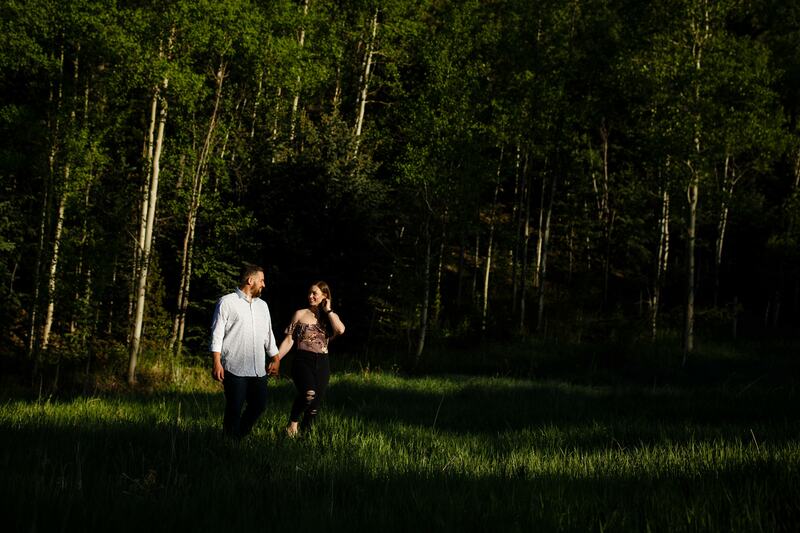 I had such a fantastic time photographing their colorful engagement in Golden Gate Canyon State Park that I’m glad that I don’t have to wait more than a couple days before I document their wedding in Breckenridge on Friday.